All photos are courtesy of Layn Mudder of LPT Images. After an eight month off season, fans and drivers packed the Dacotah Speedway on a windy and chilly Friday night on May 10th. 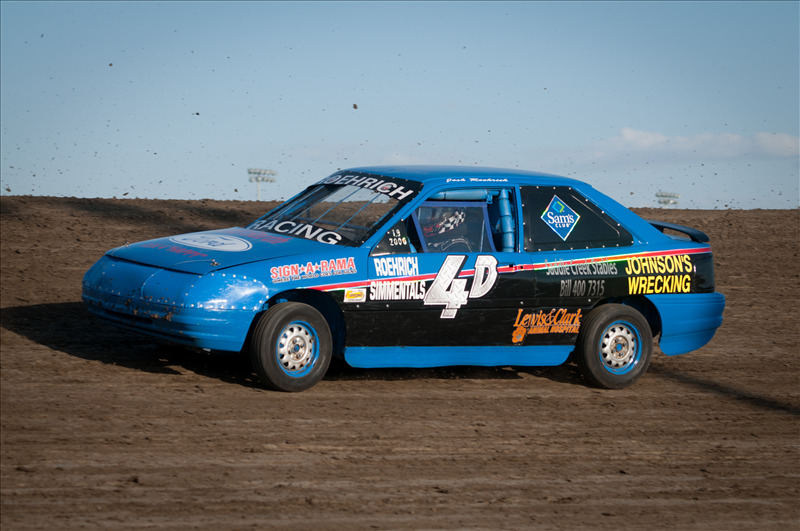 The Dacotah Speedway set a new record when 126 cars hit the high banks of the 3/8 mile track. 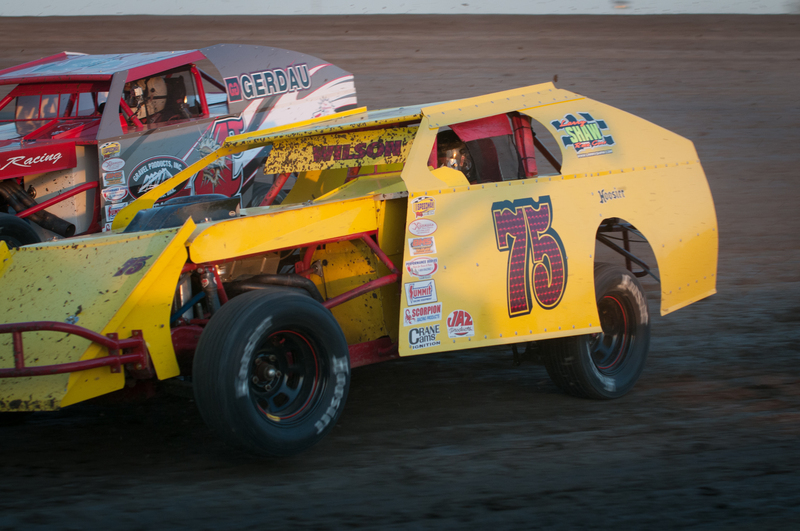 Two IMCA modified concy races kicked off the night after intermission. Pole sitter Darrell Bauer initially pulled away on the start of concy number one until a series of quick cautions allowed second place Darin Wendt to slip by into the lead. A caution with four laps to go set up a thrilling finish between Wendt, Bauer and Les Mclenehan for the win. As they raced three wide for the lead, Mclenehan slipped off turn two while the veteran driver, Bauer, retook the lead with three to go. Bauer held on to win the concy and transfer to the feature along with second place Darin Wendt. In concy number two, outside pole sitter Spencer Wilson quickly grabbed the lead on the start but over drove turn two on lap two. Wilson caught a lucky break when a caution reset him into the lead. On the restart, an aggressive Troy Girolamo of Eleva, Wisconsin raced hard with Wilson for the lead. When Girolamo slid in front of Wilson, debris from Girolamo's car bought out the caution and sent him to the tail of the field. Wilson restarted the field in the lead and held off Brad Steffes to win concy number two, transferring both drivers to the feature. 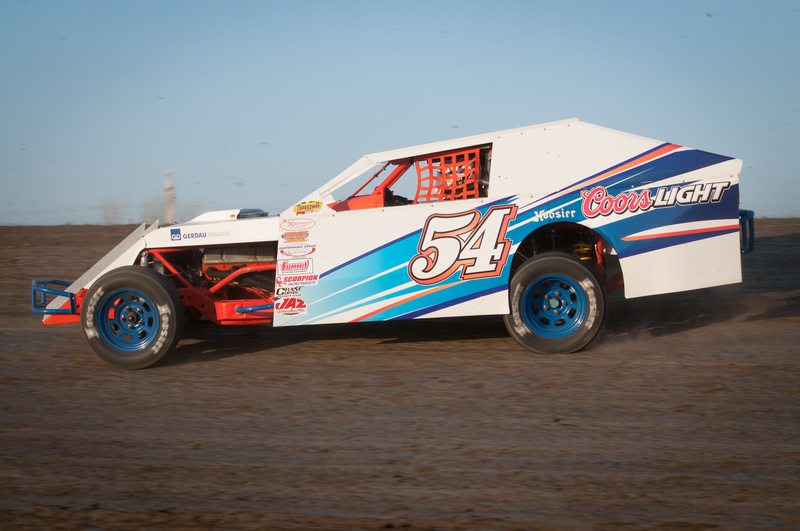 Chad Hausauer picked up where he left off last season by grabbing the early lead in the Hobby Stock feature. Hausauer's primer gray machine managed to pull away early and often during the caution filled feature. However, when Hausauer's car got loose in turn two with four laps to go, it allowed last season's track champion Scott Gartner to catch him. Gartner was all over Hausauer's bumper when a caution with three laps to go regrouped the field. On the restart, Hausauer pulled away once more and in dominating fashion, Hausauer led all 15 laps to win the Hobby Stock feature. Gartner finished second ahead of Terry Dschaak of Beulah, Aaron Aaseth of Bismarck and Josh Roehrich of Menoken. 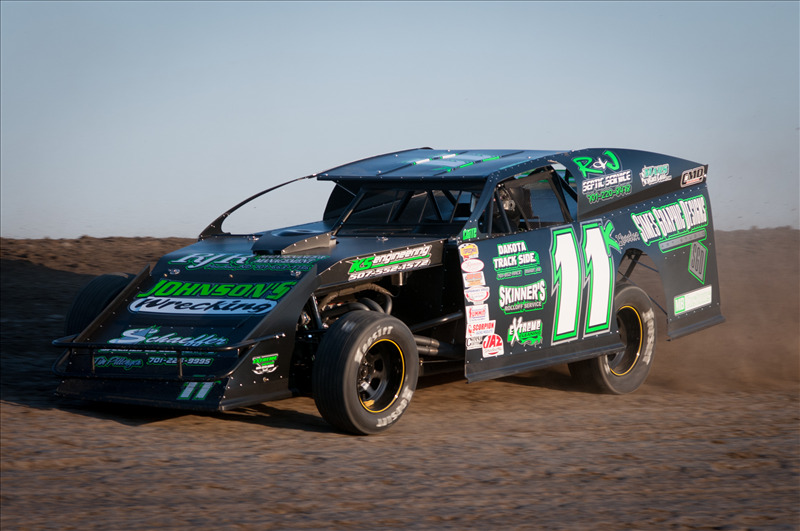 In his Dacotah Speedway debut, rookie Nic West started on the pole of the IMCA Sport Compact feature. West led early as Michelle Stoxen, Derek Nitschke and Josh Roehrich battled for second place. Nitschke slipped by Stoxen for second, bringing Roehrich with him. Nitschke quickly caught leader West and while they raced side by side for the lead, it allowed third place Roehrich to catch and pass both drivers with three to go. 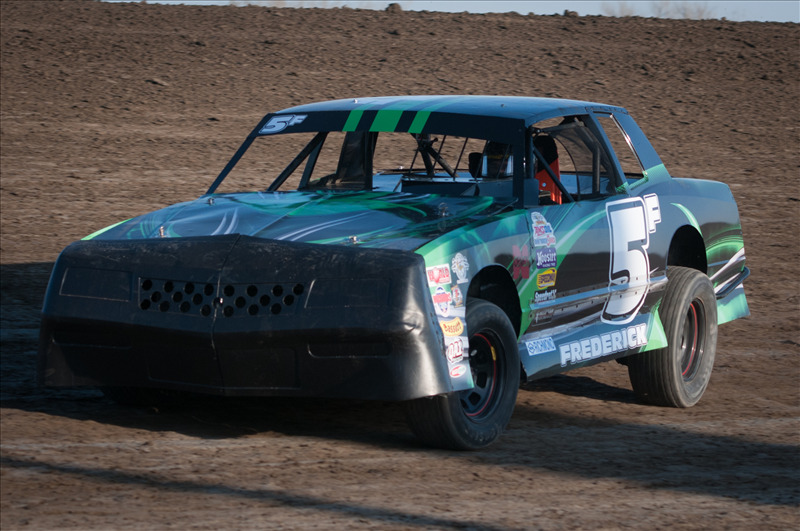 Roehrich led the final three laps to win his fourth career IMCA Sport Compact victory. Dickinson's Derek Nitschke finished second, rookie Nic West finished third, Michelle Stoxen of Mandan finished fourth and Nylee DiMeo rounded out to the top five. 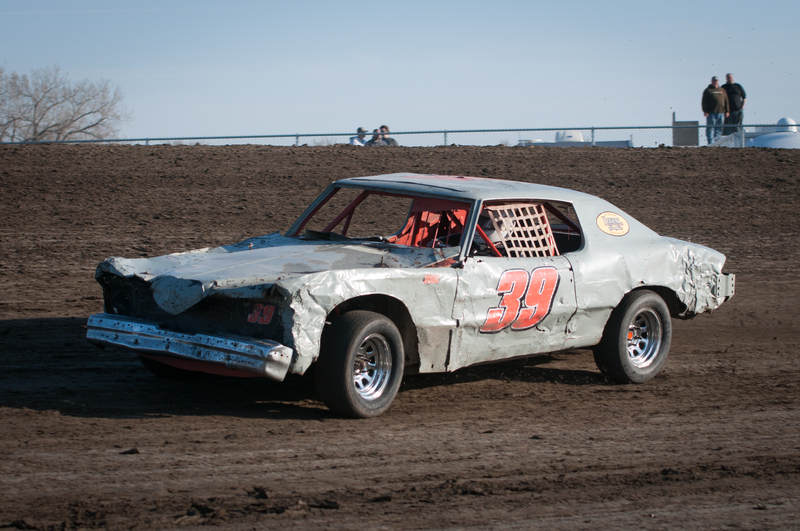 Richardton's Zach Frederick started on the WISSOTA Street Stock pole along side Belfield's Ryan Hugelen. Hugelen quickly lost spots to Allan Frederick and Travis Ulmer. Ulmer worked his way into the second position but had to hold off a strong Tanner Dosch. The two drivers raced hard for second, bumping and banging each other. A caution on lap eight allowed Ulmer to grab the lead on the restart. Ulmer, Frederick and Dosch continued to race for the lead, bouncing off each other until a flat tire on Ulmer's car ended his night early. Frederick retook the lead with eight laps to go. Frederick built up a large lead but quickly saw it disappear fighting with lapped traffic. Coming out of turn four, Frederick crossed the finish line first as fifth place Ryan Hugelen made contact with rookie Hunter Domagala, cutting Hugelen's tire and sending his car barrel rolling through corners three and four, ending the race under red flag. Tanner Dosch finished second, ahead of Brad Kadrmas and Allan Frederick. Although landing on his roof, Hugelen was given his spot back and finished fifth. You may have seen John Sommerfeld hobbling around on crutches before the night, but it didn't slow him down any in the feature. 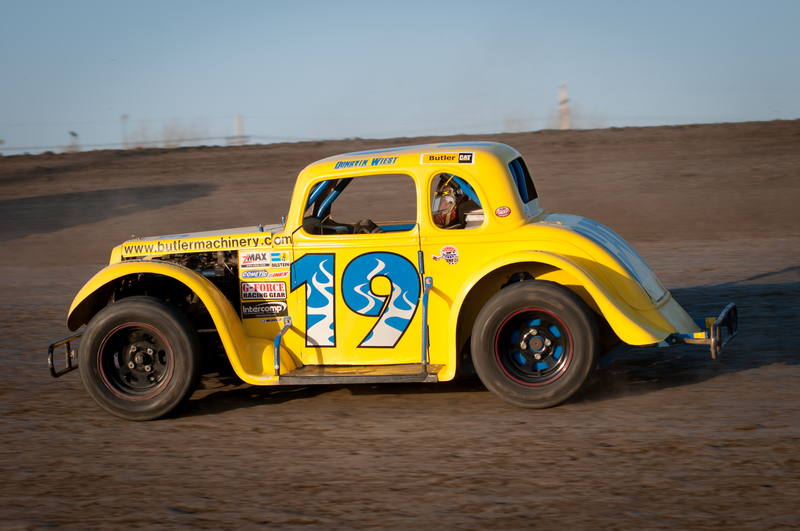 Sommerfeld stormed into the lead in the start of the INEX Legends feature. While Paul Huettl and and Paul Morman battled for second, last season's track champion Donavin Wiest and Steven Kuntz took them four wide and passed both drivers for second and third. A caution on lap six wiped away Sommerfeld's large lead and put Wiest and Kuntz on his rear bumper. On the restart, Wiest took the lead from Sommerfeld who now had to hold off Huettl for second. Shane Williams who restarted 11th, bursted into the top five picking off Kuntz, Sommerfeld and Huettl. Williams cut into Wiest's large lead but ran out of laps. Wiest won the first Legends feature of the season over a close Williams. Huettl finished third while Sommerfeld just barely edged Kuntz for fourth. Last season's track champion, Shawn Strand started on pole for the IMCA Modified feature. Second and third place drivers, Mark Dahl and Marlyn Seidler quickly passed Strand and battled for the lead. A series of quick cautions allowed Strand to retake second from Seidler. As Dahl used his favorite high line to pull away from the field, Seidler faded through the top five, losing spots to Tracy Domagala, Robert Hellebust and Jeremy Keller. A lap six caution reset the field and on the restart, Strand's low line stole the lead away from Dahl. Dahl reeled in leader Strand with his high line around the track and retook the lead on lap 11. Fifth place Jeremy Keller switched from his high line to the low line and passed Domagala, Strand and Hellebust. Lapped traffic allowed Keller to quickly catch leader Dahl. Keller slipped into the lead with six laps to go. Dahl now had to fend off Hellebust but the Minot native was too strong and took the second position. A caution with two to go set up a green-white-checkered finish. On the restart, Keller and Hellebust raced side by side for the win while Domagala and Dahl raced side by side for third. Forced to switch lanes, Keller was now trying to protect his lead on the high line. Coming off turn four and coming to the checkered flag, Keller and Hellebust raced side by side. It was Keller's high line that just narrowly edged Hellebust at the line for the victory. Tracy Domagala finished third as Dahl and Strand finished fourth and fifth.